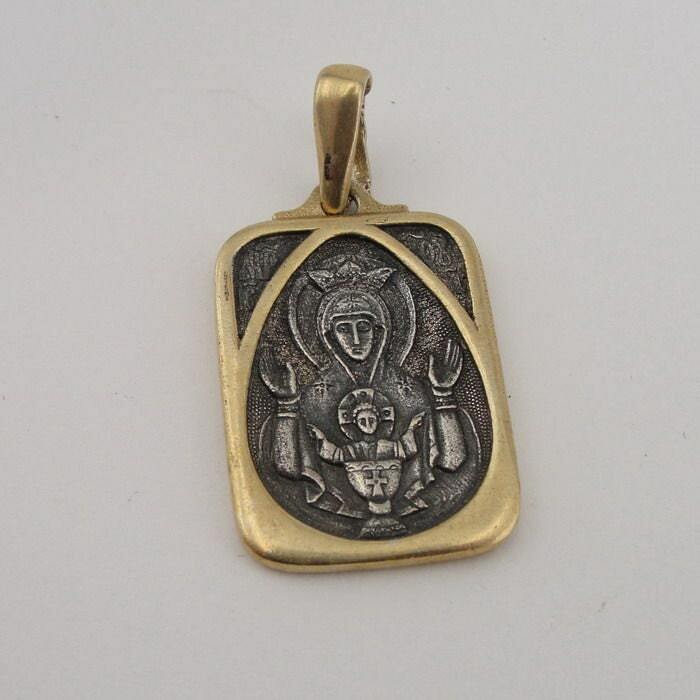 Very lovely Sterling Silver and Gold Icon / Medal of Kazan Mother of God. Front aspect: Kazan Mother and Child. 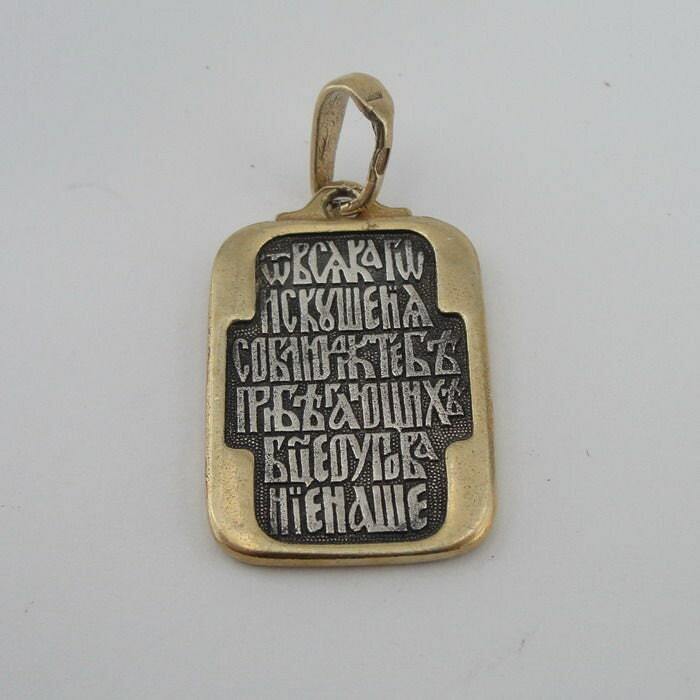 Reverse aspect: Prayer within the previous Slavic language and ornamental motifs. Historically right and carried out in the most effective traditions of the Russian Orthodox Church, this Cross was created in Russia.